In my classroom one of my incentives is classroom coins. I do this for many different reasons. The most important reason being that they will be able to identify and count coins. They get to use their coins at the end of every month in our classroom store where they can buy different items. 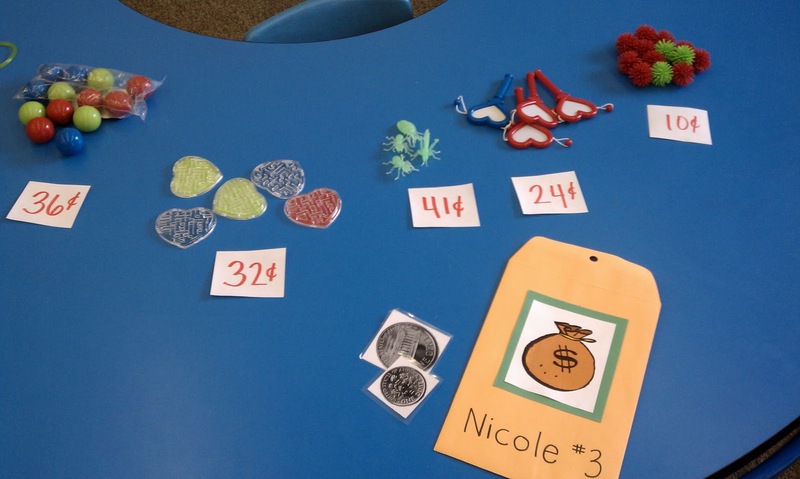 In order to buy these items they have to count and identify the coins. This is a great way for me assess their learning and a great way for them to apply themselves. They LOVE it! I have a new item each month. Last month glow in the dark bugs from the dollar spot at Target were the hot high price item. Another major factor in this is they have to earn the money. They have multiple ways to earn money. One of the easiest things is to bring their take home folder back each morning. 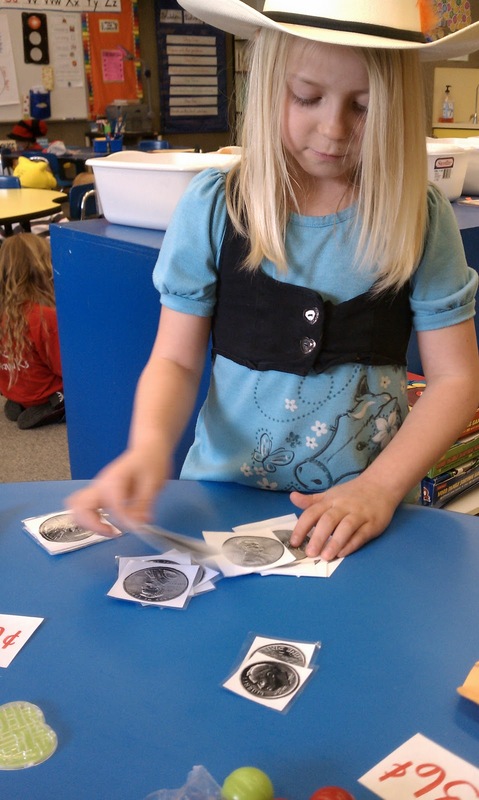 Then throughout the day I give out coins to students on task and working hard. I introduce this on the first day of school and each student gets there very own "wallet" to keep their coins in. In the picture below is the wallet. I use a small folder and add the clipart with their name. I attached a PDF of the coins that I use if you are interested. I copied, cut, and laminated them. 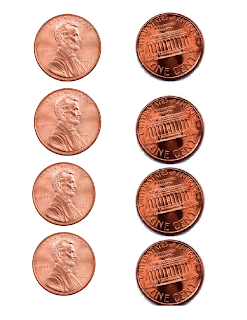 One important thing to know is I start out using ONLY pennies, then add dimes, then nickels, and last quarters. 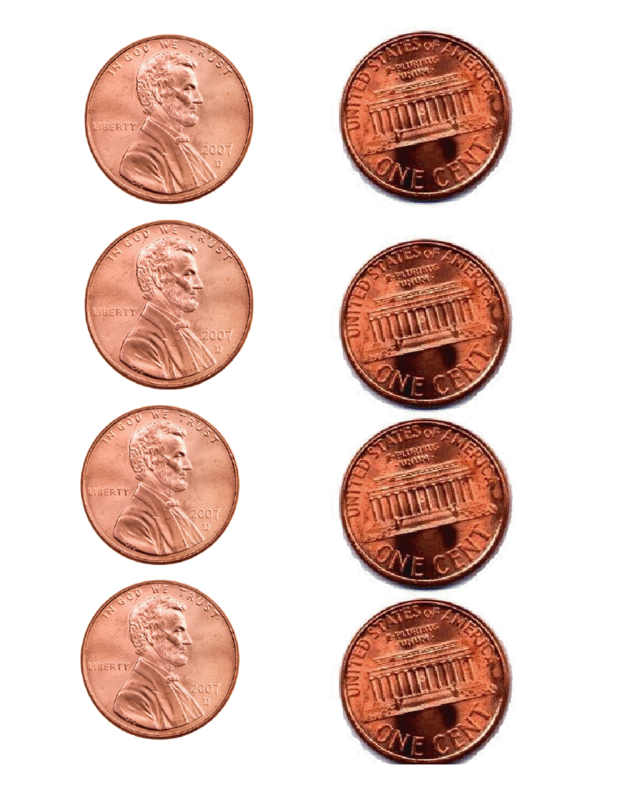 We have currently started using nickels this month. Here is a copy of the coins that I use. 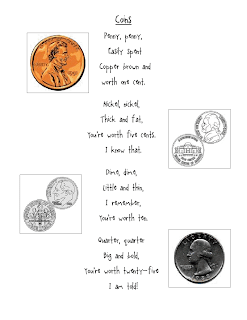 Click Here for the coin PDF ws. 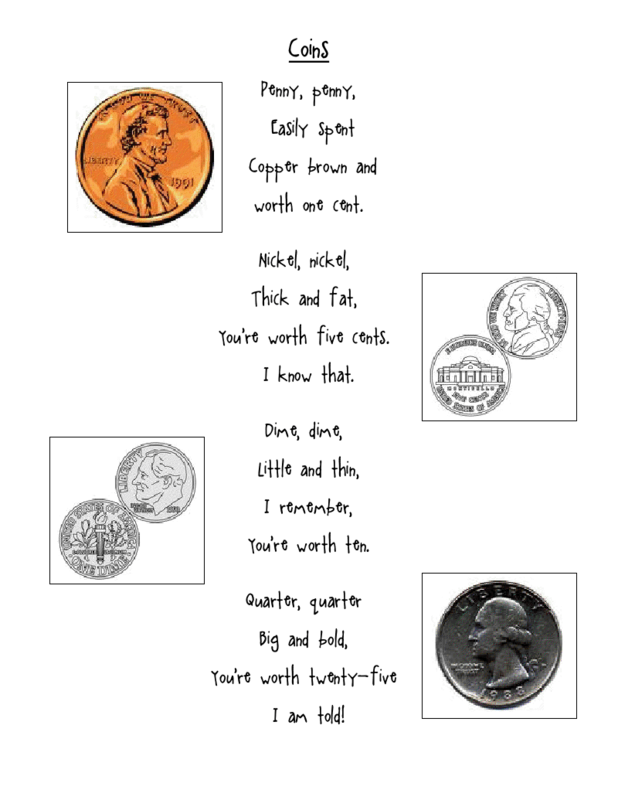 Below is a poem that I teach to my students when I introduce money at the beginning of the year. I found this on the internet and made a work sheet for it. I also use hand motions to describe some of the coins. This is one of my favorite math activities that I do with my students. They have a lot of fun with it as well. I give each student a "money bag" with different amounts of coins in them. 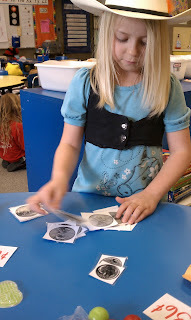 They first write their estimate on the paper and then are able to dump out the coins and apply themselves. 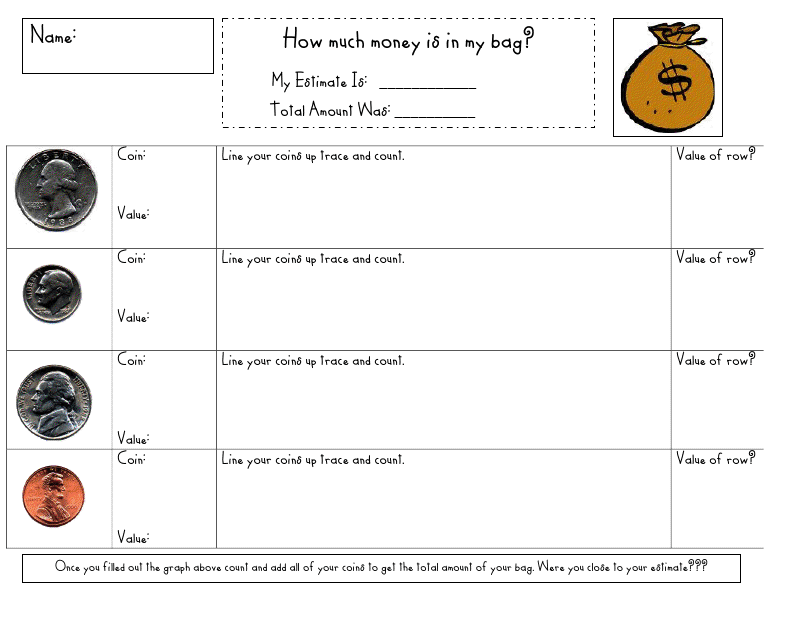 If you would like a copy here for the money bag lesson work sheet. Thanks so much for sharing this. My kids cannot grasp the counting of the coins! my coworker and I were just discussing it this afternoon. GIVE-A-WAYS! SIGN YOURSELF UP FAST!